Candy Corn has been around for a long time (since the 1880s, in fact), but if Pinterest is any indication, its popularity has been surging in recent times. I know I’m a huge fan of Candy Corn! If that’s not convincing enough, according to the National Confectioners Association, 25 million pounds of candy corn are sold each year. The candies are a very sweet treat in themselves, but there are also plenty of ways to incorporate them into fun food items and even your décor. 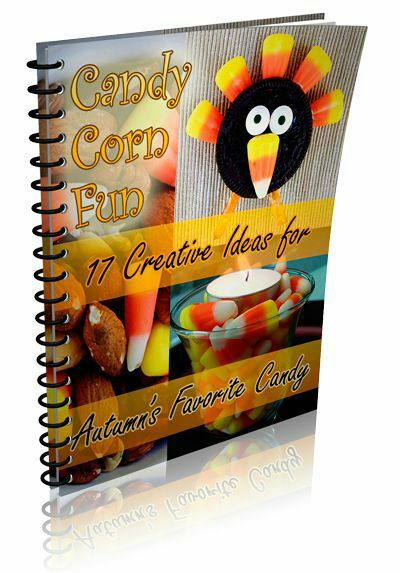 This page includes 15 Candy Corn Recipe Fun, Crafts and Creativity for the whole family. Each project is relatively easy to create. You can bake some items from scratch or use pre-made items to whip things up quickly. This post contains affiliate links. All month long, I’m adding a Candy Corn recipe, craft or family-fun activity to this amazing round-up. By the end, you’ll have more than 15 Candy Corn Crafts, Recipes and family-fun!